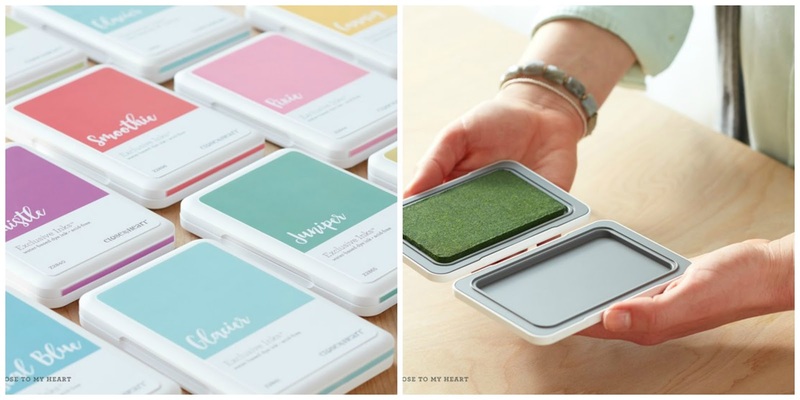 Creating with Christine: NEW Ink Colors Available! 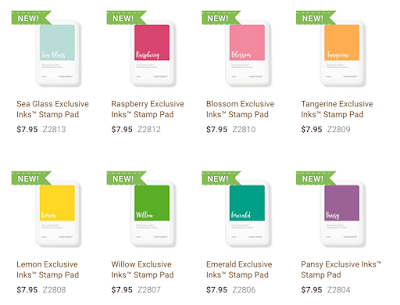 I'm so excited about our NEWLY DESIGNED ink pads. Our first shipment sold out in the same day! But we just received a new shipment of the new Adventure Colors as well as Sea Glass. What's NEW about these you ask? Let me tell you! The old design had a lid that snapped shut - which was sometime difficult for people to open when they were new and nice and tight. The top would swivel around and lock into place so that you would have a nice, raised stamping surface to ink your stamps - but some people had trouble swiveling and would get ink all over the pad and themselves! 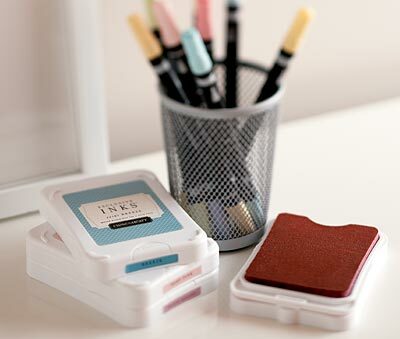 The all NEW ink pads have a top and bottom connected by magnetic surface! You simply lift off the top and voila! The empty side can be used as a palette for your re-inker of the same color or to pull color off with a water brush and dilute it to the shade you desire! 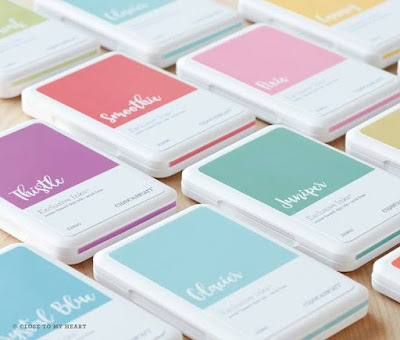 You will also notice that the pads are slightly larger, giving you even more stamping surface! This new size was designed to fit our NEW Workspace Wonder Organization System (available sometime in October). I LOVE our new ink pads!!! If you are local, I'd be happy to show them to you in person so that you can see and feel the difference! If you are NOT local, contact me -- we might be able to work something out.